Well, the top 5 names have finally been released for the El Paso (and everywhere else) public to vote on. Here are the nominees, in no particular order… actually, they are in a particular order from stupidest to less stupid. 1. Aardvarks. I don’t know what to say about this. A Google search of El Paso and Aardvark turns up a wrecker service and an auto repair shop, that clearly named themselves that in order to be first in the phone book (if you don’t know what a phone book is… it’s a book with a list of phone numbers to everyones land lines… land lines are phones that you have in your house – actually connected to your house – they don’t have internet – they don’t take pictures). There is a zoo in El Paso so, I guess maybe the name comes from that. I can’t find any information on the internet that leads me to believe they even have an Aardvark. 2. Buckaroos. (No, I’m not making this up) Apparently Buckaroo is how white people started saying Vaquero (Cowboy in Spanish). So, we are using an Anglicanized version of a Spanish word to represent the Cowboys who were mostly Mexican in this area, which by the way is full of Mexican people. But… we didn’t choose Vaqueros (or Estrellas) as a finalist. Nope, we chose Buckaroos! 3. Chihuahuas. OK well… we live in the Chihuahuan desert. We live next to the Mexican state of Chihuahua. There also seems to be an inordinate amount of big ol’ vatos around El Paso with tiny little Chihuahuas. That being said, this name is stupid. What player would be proud to be a Chihuahua? 4. Sun Dogs. This is the second best. Believe it or not. Sun Dogs. 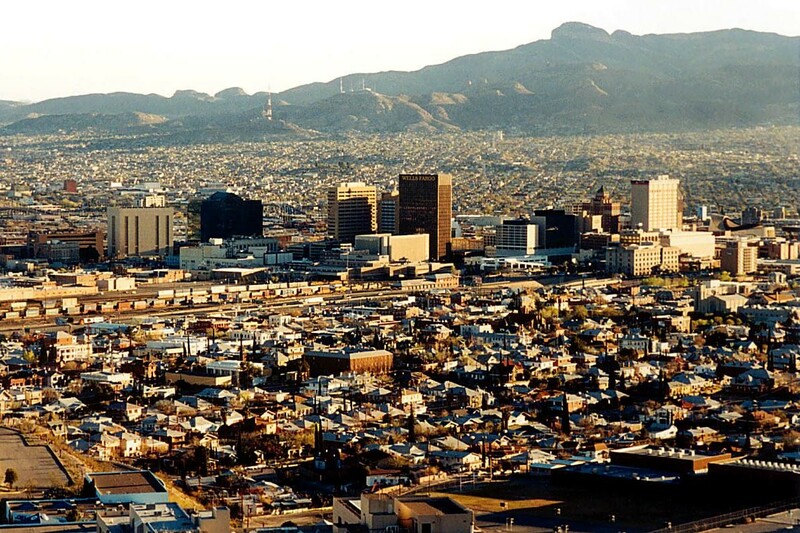 El Paso is the Sun City so, that part works. The dogs part? I don’t know. Maybe it’s the whole big dudes with little dogs thing I was talking about. I just don’t get it. I waited so long for these names to come out… not just because I was hoping that Estrellas would be there but because it’s OUR team! I can’t be happy about the Sun Dogs. It doesn’t even make sense. 5. Desert Gators. This is the one I just voted for and will vote for everyday from now until the 27th when voting ends. This is the best of the worst. It is also the only one that makes sense in reference to El Paso. We live in the Desert, we’ve already established that. Now, you may be asking yourself “why the gators?”. Well, I will tell you. 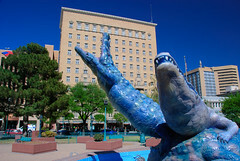 In San Jacinto Plaza in the heart of downtown El Paso, only a few blocks from the new stadium, there is a statue of “Los Lagartos” by Luis Jimenez. The statue is there in honor of the Alligators who used to reside in a moat within the plaza. For almost 100 years Alligators lived in San Jacinto Plaza until 1974 when they had to be moved to the El Paso Zoo due to a rise in vandalism (or maybe to eat the Aardvarks, CAUSE THERE AREN’T ANY THERE!). So, needless to say, the Gators are a source of pride and fond memories for many El Pasoans. The desert is a source of something for El Pasoans. Mostly sand and heat but, it can be beautiful as well. Here is the link to the voting. There are no write-ins allowed, sorry. I would love to get Estrellas back in there, or maybe the Mountain Stars, Mountain Rainbows, Mountain Dew… whatever. Almost anything would be better than 4 out of these 5 finalists.